During the tournament, there are three trophies: Maserati Gold Cup, Appletiser Silver Cup and Estrella Damm Bronze Cup, each with three levels: low, medium and high handicap.It has scheduled a hundred games over 35 days. Top players in the world every season need valuation this is a constant sport all year around different places in the world. So it’s common for watching Polo teams traveling around the world with their whole families and very often with horses too. Children have nannies and school teachers with them. Horses have whole team players or simply horse handlers taking care of them. As a side note: It’s worth to mention that team owners don’t get money out of this, In this regards, it’s just a hobby. 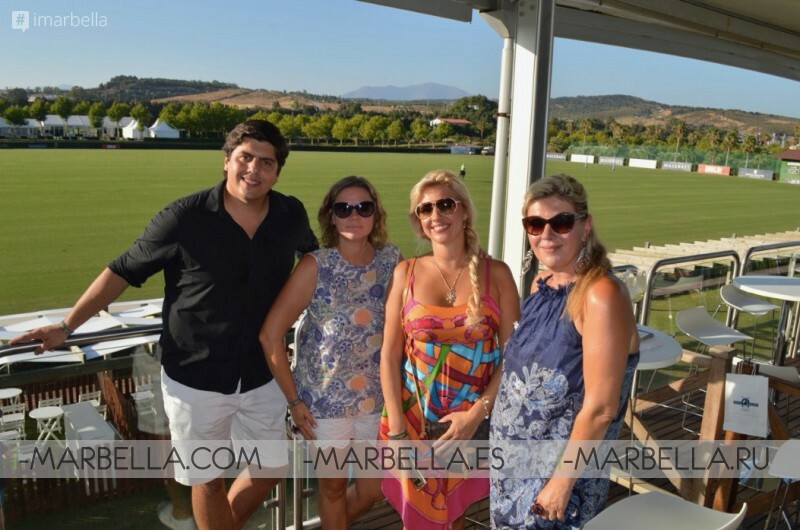 Santa Maria Polo Club itself is an ideal place where families or friends can spend time together. There’s plenty to do at Santa Maria Polo Club during the tournament – a shopping village, pop-up children’s play area, bars, lots of socializing and after parties with live music and DJs. Friday and Saturday nights are the busiest during the month-long tournament. i-Marbella.com – recording highlights of the chronology of events, people, places in Marbella, Costa del Sol, Spain.